mihimaru GT performing Skanku at Yokohama Arena. You can see the energy that Mikkun is giving in this performance. Such a lively song. One of my favourites. Acoustic version of Shiawase ni Narou. Performed by Mikkun and Hiroko at Yokohama Arena. 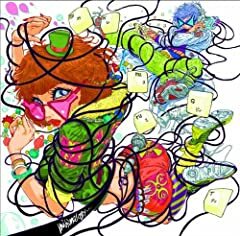 mihimaru GT最新の情報はコチラ： http://umusic.ly/mihimaru_umj ♪楽曲絶賛配信中！ダウンロードはコチラ： http://umusic.ly/mihimaru_reco. Yu-Gi-Oh! ZeXal Opening 1 - MASTERPIECE TV Tokyo owns this i dont.